The planning and urban design firm of Dover, Kohl & Partners celebrates 30 years in business. Founding partners Victor Dover and Joseph Kohl share a working relationship that reaches all the way back to their college days as students of architecture at the Virginia Polytechnic Institute and State University in Blacksburg, Virginia. 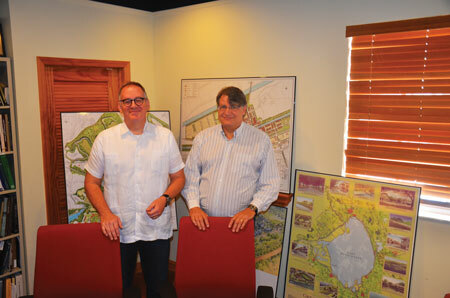 From their company offices overlooking Sunset Drive, the two describe their early days in business after completing their studies as architectural students at the University of Miami, where each earned a master of architecture degree in suburb and town design. Starting out as an architectural illustration firm, they later developed their reputations as architects with a deep interest in and understanding of the realm of planning and zoning. 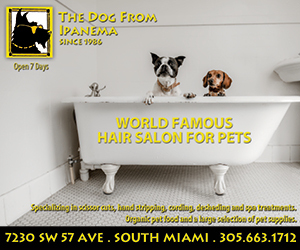 They began their business in Coral Gables, moved to South Miami in 1991, and then to the present location at 1571 Sunset Drive in 2002. 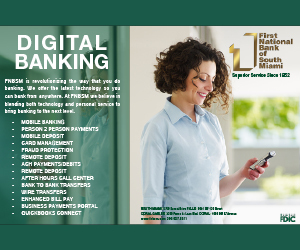 For them the City of South Miami was the “perfect place” for their business, with a host of amenities that includes public transit. 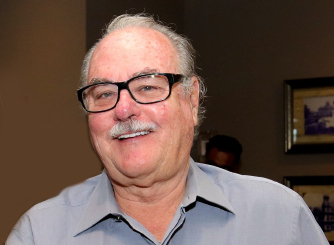 “We started the firm when Joe and I were very young and naturally impatient, so, not surprisingly, we believed young professionals can do a lot without waiting around for their turn to change the world. Fortunately, some clients trusted us with big, world-changing assignments even though we were still getting started on our professional journey. So we’ve tried to hold on to that idea as the business has grown and more young people have joined our studio. We accelerate their training and encourage them to take responsibility for the work and for leadership right away. Our competitors tend to underestimate the creative power of their younger staff members. But we see it as key to keeping the energy high and the ideas fresh. That’s worked very well,” says Victor. 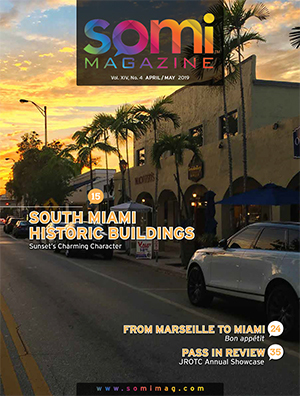 One of their first planning projects of note was South Miami’s Hometown Plan in 1992-93 for which they managed the design charrette. The charrette brought the community together, and a master plan was officially adopted in 1993. One result of the place-making plan saw improvements on Dorn Avenue with widened sidewalks and outdoor dining. By narrowing the roadway and making Dorn Avenue a one-way street, vehicle traffic was slowed and the area became a pedestrian gathering place. 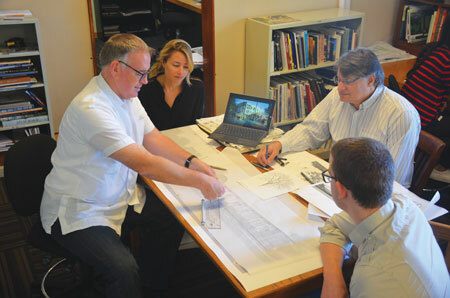 Joseph Kohl and Victor Dover review Palm Beach Gardens street designs with Luiza Leite, Xu Zhang, and Lucas Stegeman. The practice of mixed-use development in cities and towns was eradicated after World War II. There was a need to return to the way planning used to be before the advent of suburban sprawl and the ribbons of concrete highways connecting people from their homes to the workplace or shopping center. The proponents of New Urbanism, an approach that harked back over the centuries to planning that included walkability, housing, and public gathering spaces, held their first congress on the subject in 1993. The focus on human-scaled urban design, it was argued, would be an improvement on a community’s health, economy, and environment, and it could be adapted to all types of new development and established communities. Adherents of New Urbanism and the employment of form-based codes over use-based codes, Dover, Kohl & Associates have earned a worldwide reputation for their successful place-making projects. They have long understood the need for the residents of a community to be an integral part of the planning process that will have an impact on their community’s future. For more information about Dover, Kohl & Associates please visit www.doverkohl.com.